DELUXE COOKWARE COLLECTION by La Boca home decor, jewelry, decor, decorations, electronics, fountains, floor mats, art glass, vases, garden essentials, fireplace screens. Whether you're a beginner or a gourmet chef, this cookware set has everything you need for a full-fledged feast! Set includes three saucepans, two skillets, a stock pot and matching lids to make any cooking task a breeze. 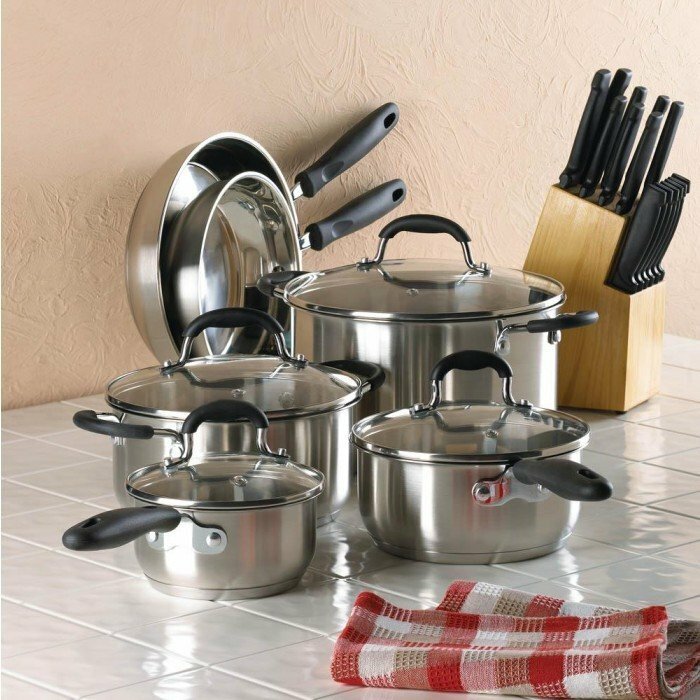 1.06 and 2.11 Quart saucepans; 8 3/8" and 10" diameter skillets; 3.07 and 6.45 quart pots. Material(s): STAINLESS STEEL GLASS. Weight 13.5 pounds.